All we heard about genetically modifiedorganisms. Unheard hype raised about GMOs in recent years. At each corner of the talk about the unprecedented dangers of GMOs, that products containing GMOs is dangerous to eat. I tried to find out our site today and tell you everything you need to know about each GMO. 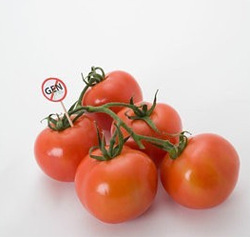 Genetically modified organisms - issuch organisms, in the genetic code that were "pasted" foreign genes. Before the eyes clearly appears Frankenstein lab, which is armed with a microscope, furiously cuts and glues tiny particles of cells. Darkly, is not it? What it has in fact GMO. Here are some examples. The gene number all of us loved the potato "add" gene scorpion! Result: we got potatoes that do not eat any insects. Or this: in tomatoes and strawberries have introduced polar flounder gene now these crops are not afraid of frost. Why us? The answer lies on the surface - the scientists decided to relieve the earthlings from hunger. In principle, rightly so, because like tomatoes can be grown even in the Far North, and potato crops will not suffer and shrink the ubiquitous efforts of Colorado beetles. And, you can make this apple tree, which will bear fruit the same size apples, and they are, in addition, will smell, until finally rot. Or all the same tomatoes, beautiful, correct form, dolgohranyaschiesya. Conveniently! And you can add a gene in rice that produces vitamin A, which is used in cereals was not. 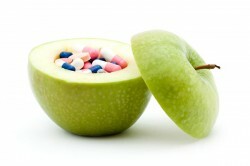 Why us pharmacy vitamins, here they are - natural. In general, it reached the point that a slight movement of the hands of researchers improve the yield of many crops, and their resistance to pests, improve other "useful" plants quality. But as you know, good intentions ... And if earlier breeders achieved such results for decades, but now it is spent a year or two. The most common GM crops - is soy, corn, wheat, beet, tobacco, cotton, canola (oil plant), potatoes, strawberries, vegetables. Me, a man very far from biologythe fact of crossing guards, roughly speaking, palm trees and a rhino, that is, various kinds. Nature, everything is thought out very thinly, and people trying to "break" the whole scheme. Think of a school course of zoology is such a thing as the food chain. Herbivores eat grass, small carnivore eating herbivores large predator eats little. Everything is clear, and here in the centuries-established ecosystem and interferes with a person crosses the grass, for example, a fish, and then the pot is, no one can. Extinct herbivore, followed - predators. Or mutate, and who knows what else is better. In both cases, to predict exactly what will happen next is simply not possible. But genetics obstinately cut and glue, cut and glue. 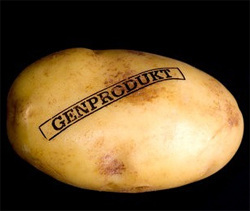 With the invention of GMOs were born and endlessdisputes pundits of all mankind of the consequences to which such gene manipulation may lead. The whole situation is very similar to the story of a UFO. Which ten years, thousands of witnesses trying to tell about alien visitors, and stumble on the wall-one "does not exist" on the part of scientists. And in fact, we regular folk do not get almost any information. Same thing with GMOs. Some shouted "harmful, unnatural, unstudied," others insist - "useful and necessary". Whom to believe? And someone all this simply good. I'll try to explain what is called the "fingers". This is beneficial to the production of GMOs? Of course consumers of such materials. After a ton of "normal" wheat costs about $ 300, and a ton of transgenic wheat - 40-50 $. Imagine what savings. Manufacturers of such raw materials is also a loser does not remain. Due to the strengthening properties of some plants (resistance to pests) significantly reduced their growing expenses, respectively, reduced cost and increased competitiveness. And here's another version. Basically all GM plants "grafted" resistance property to pests. Imagine if the whole world does not remain conventional fruits and vegetables, how much damage will incur companies producing pesticides? Yes, they just disappear! That such simple arithmetic. Why silent scientists, governments in many countries, the Ministry of Health? Probably their "cajole" manufacturers. That's how we live and eat and get sick. Europe has long been a norm GMO in products - not more than 0.9%, in Japan - 5% in the US - 10%. And labeling of GMOs is strictly required in many countries. 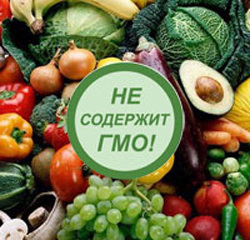 In early February 2009, the Cabinet of Ministers of Ukraine didapproved the procedure for registration of products with GMOs. All imports must now pass the appropriate examination, and directly on the border. In case of excess production in the European norm GMO content of 0.9% - it will be refused entry. By the way, previously forbidden was only imports of baby food with GMOs, but nevertheless many independent food samples for tots established fact of GM additives in it. In fact, it turns out that in Ukraine, the import and contentGMOs in products simply ignored, with the result that the country's markets have become unclaimed trash transgenic products throughout Europe. 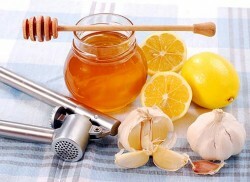 Therefore, the Ukrainians have to be extremely careful and cautious in the choice of food. Our neighbors, the Russians have realized it before, andCurrently in Russia, the law governing the mandatory labeling of products containing GMOs in the amount of more than 0.9%. Otherwise - a fine and penalty up to the closing of the enterprise (by the court). By the way, in Europe there are so-calledProducts «organic», which are environmentally friendly and are subject to strict control at all stages of production. We are of such only dream about. Official said that GMOs are harmful, can notno one. Most often used the term as a "potentially dangerous." Why? To make a statement about the dangers of GMOs need to spend a long and extensive research and experimentation. But for some reason they do not spend. Perhaps it's beneficial to someone, but it is not about that. As of today, scientists set out just some of the consequences of the theory. By itself transgene eaten manno visible injury does not cause, because to fit into the genetic code of people can not. He can just wander through the body and induce the synthesis of proteins. It seems to be okay, but do these proteins are not characteristic of the human body, that is not provided by nature. And what can end such a synthesis, and what damage can cause these proteins can only guess. The use of GMO products can lead toallergic reactions, moreover, are not harmless. For example, in the US, where GM-free products are used in food allergy affects about 70% of the population. In Sweden, where such products are banned, only 7%. This is hardly a coincidence. The consequence of ingestion of products from the transgene is a violation of the gastric mucosa and structure, the emergence of antibiotic-resistant intestinal microflora. Another consequence may be a whole body of immunosuppression (70% of the human immune system - in the intestine) and metabolic disease. Products with GMOs can trigger cancer. Transgenes tend to be embedded in the genetic apparatus of microorganisms of the intestine, and this is a mutation. It is known that mutations in cells lead to the development of cancer cells. All the above effects are notguaranteed when eating GMOs. There is a certain risk of developing such disease. To prove all the consequences of the use of GMO products must be 40-50 years old. Considerable time, agree. 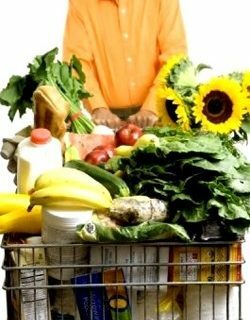 Therefore, in order not to amass a problems and diseases, it is useful to some caution when choosing foods. Although many scientists dealing with this issue claim that in comparison with the food, containing preservatives, flavors and dyes, food with GMOs at all harmless. And that only provide a potential danger of GM micro-organisms, that interact with the intestinal microflora. By the beginning of this chapter, many readers have made them a choice - to eat foods with GMOs or not. For those who decided to take care of himself, a few tips. Go tell that to identify GMOs in foodonly in special laboratories. On the eyes, smell or touch do not do. What can we do to buyers. Before going to the store or a supermarket, you know that 40% of the products sold there contain GMOs. Most GMOs found in sausage products(Up 85%), and find sausage or sausage without the transgene - it is almost a miracle. Especially densely saturated with genetically modified soy sausages and boiled sausages, sausages. By the way, are teeming with transgenes and various semi-finished products - meat dumplings, pasties, pancakes. Popular dumplings "Levada" and "The Three Bears", and most manufacturers of sausage products implicated in the use of GMOs. Advice from our website. Cook meat products for yourself! And not just meat! Buy meat on the market and their home raduyte goulash, meatballs or homemade pilaf. Or at least do not eat sausages on a regular basis! In second place on the content of GMO has settledbaby food. 70% of baby food containing GM ingredients in Ukraine. And to know that in a jar with a delicious smoothie contains a transgene is practically impossible, because the label does not write about it. Among the manufacturers who do not disdain the use of GM ingredients Nestle and Danone, Similac. Think about it, it is good for your baby's well-known "Rastishka". But it is the children up to 4 years less all protected from the effects of transgenes. Advice from our website. As it is not terrible sounds, try to do without the use of infant formula. Breastfeed, indulge pyureshkami of fresh fruits and vegetables. By the way, any compote much more useful "canned" juice. But if you still have to buy clover and mixtures, avoid production of the above brands. The third position in the confectionery and bakeryproducts. GM soy generously added to biscuits and chocolate, flour, candy and ice cream sodas. To identify such additives for the average person is not possible. However, the bread that does not get stale for a long time - completely contain transgenes. Among the companies implicated in the use of GMO Greenpeace, the famous Mars and Snickers, Cadbury, Coca-Cola, Pepsi. Of domestic companies took voluntary testing Confectionery Company "Conti" and only product of its icon turns green "does not contain GMOs". Advice from our website. 80% of US exports contain GMOs, so give up the use of products of American companies. Buy on the principle - all that is advertised, it is impossible. Nestle Quick breakfast, nutritious 'Snickers', Danone yoghurt, etc. - All of these vendors in the "black list" of Greenpeace. Well, that's determined trio "leaders". But that is not all. 30% of the market of tea and coffee contain GMOs. Transgenic soya is successfully used in the production of fast food (McDonald's), condensed milk, ketchup and sauces (Heinz Foods). Fear causes and canned corn (choose Hungarian - where GMOs are prohibited). And it goes without vegetables. It is the fruits and vegetables I want to staymore. You buy them in the market at the "grandmothers". Excellent. But this does not guarantee the absence of transgenes. It is not known what seeds to buy grandmother. How to distinguish GM foods? Firstly, they practically do not deteriorate and is not interested in insects. So buy "Bitten" potato, which has a variety of sizes. After all, the ideal of equal size potatoes - is the work of geneticists. All GM vegetables are usually kept for a long time (due to the "glued" genes) and look just perfect. So, avoid glossy, large tomatoes, gorgeous strawberries, apples "like in the image." Nature creates the vegetables are very "beautiful", and not the ideal form. 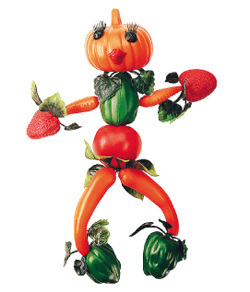 This genetic engineers "produce" vegetables, which satisfy the requirements of any buyers. GM foods do not lose their shape and do not let the juice when cut. Here is another indicator. But buckwheat buy safely, it has not yet been modified. Probably, there is no need. I sincerely do not want readers accused mebias. Before writing this article, I set a goal to carefully present all the arguments both for and against GMOs. The first was very little. But, as always, the choice is yours.